According to Ednick Msweli, head of eThekwini Water and Sanitation (EWS), the Western Aqueduct (WA) bulk water pipeline will have a significant impact on the future development of the eThekwini region. “With unemployment at record highs and a need to fast-track the establishment of industry that will beneficiate commodities and manufacture for export in order to both grow the regional economy and create jobs, the provision of good water infrastructure has never been more important. With the completion of the WA, Durban will have some of the best water infrastructure in the country,” he said. The WA - which was divided into two phases – will bring water into Durban from the Midmar Dam and recently constructed Springrove Dam. It will significantly strengthen the capacity of bulk water supply and meet the needs of the greater eThekwini region for the next 30 years. 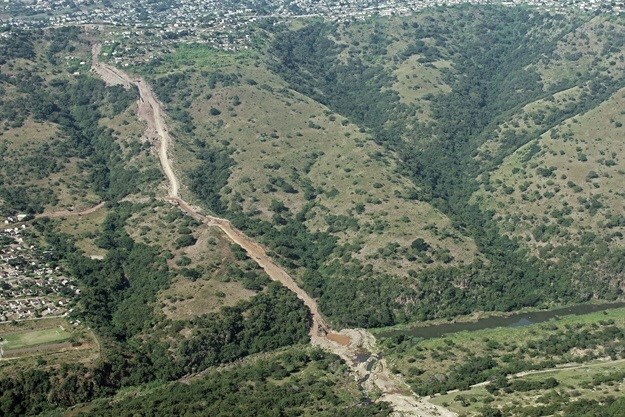 The first phase of the Western Aqueduct, which measures 20km and stretches from the Umlaas Road Reservoir to Inchanga, was commissioned at the end of 2012. One of the continent's largest joint ventures, capable of generating 1,575MW of electricity in a number of African countries, has been established between Africa Finance Corporation (AFC) and the Pan African Infrastructure Development Fund, an infrastructure fund managed by Harith General Partners. As one of the primary pollinators in the world, bees are not only important to human survival, they also play a central role in the evolution of the earth's ecology. Yet bees are facing a global threat. The use of pesticides has contributed to the death of some 250-million bees in recent years. Beekeepers lose up to 30% of their stock and equipment each year due to vandalism and theft, resulting in a loss of pollination and honey. Diseases such as American Foul Brood play a large role in the decreasing number of bees worldwide. Migratory beekeeping is also contributing to the spread of this disease, as it removes permanency for bee colonies and allows outside factors to threaten the structure of hives. Eskom hailed a milestone in its efforts to overcome South Africa's chronic electricity shortages on Sunday, saying it had linked up the last of four units at its new Ingula hydro-electric power plant to the grid. "We look forward to Ingula rapidly nearing commercial completion and meeting the 2017 deadline, thereby enhancing the security of Eskom's electricity supply to power South Africa into the future," Eskom's Chief Executive Brian Molefe said. JOHANNESBURG – Eskom on Sunday dismissed reports that it had “blindsided” Exxaro Resources in respect of the Arnot power station coal supply contract and threatened to take the matter to the Press Ombudsman. South African Capital Equipment Export Council (Saceec) says domestic manufacturers of capital equipment stand a better chance of being sustainable in the country’s struggling economy by opening up export channels and liaising with foreign customers to build stronger ties in international markets. Embattled cement producer PPC is finalising a R3-billion to R4-billion capital raising plan in parallel with urgent efforts to bed down a R2-billion bridging guarantee facility to settle outstanding obligations to bondholders that come due on June 23. The International Federation of Consulting Engineers' (FIDIC) Quality Management Task Force recently held its first working meeting. Hosted by Aurecon, the goal of the task force meeting is to create a new guide that will give practical and useful information on how ISO 9001 clauses can be applied within engineering and construction companies. 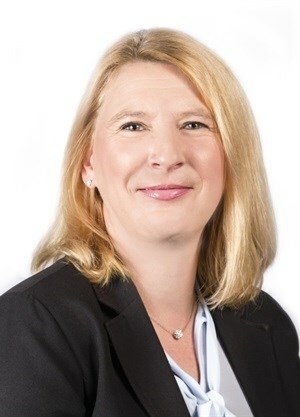 Sonja de Klerk, head of quality, Environment & Sustainability at Aurecon, says that engineering consultancies and contractors are often required to have formalised quality management systems and be ISO 9001 certified to compete in today’s marketplace. The new guide, which will be entitled Guide to the Interpretation and Application of ISO 9001:2015 in the Consulting Engineering Industry when it is released, will demystify many complex aspects of the standard. “This guide will be helpful to any quality management practitioner in the consulting engineering industry. The clauses in ISO 9001 can seem abstract, but the new guide will help clarify them in the context of our industry through the use of explanations and examples,” says de Klerk. Construction of the R3,5 billion Clairwood Logistics Park will begin within the first quarter of 2016, creating much needed employment and business opportunities within the South Durban Basin. Hotel Verde in Cape Town has been named winner in the Highest Rated Building category for its Existing Building Performance (EBP) Pilot tool rating during the Green Star SA Leadership Awards 2015 at the annual Green Building Convention in Cape Town. Solid Green Consulting has successfully facilitated 20 Green Star SA certifications with the Menlyn Maine Pegasus building marking this milestone. Menlyn Maine Pegasus received a 4 Star Green Star SA – Office v1 Rating from the Green Building Council South Africa (GBCSA) on 22 September 2015. V & A Waterfront's Silo District hounered with safety awards. The V&A Waterfront's Grain Silo project, comprising the Zeitz Museum of Contemporary Art Africa (Zeitz MOCAA) and The Silo (hotel), came first regionally and second nationally in the Master Builders Association Safety Competition. "The Pavilion to get a R1.1 billion makeover"
The Pavilion shopping centre in Durban is set to get a massive R1.1 billion makeover and expansion designed to reposition the centre, significantly increasing its leisure and retail offering. “The business case to invest in green buildings is becoming more compelling every year,” says Brian Wilkinson, CEO of the Green Building Council of South Africa (GBCSA), citing the results of the latest IPD South Africa Annual Green Property Indicators.